La comunidad de P.S. 97, The Forest Park School, desarrolla estudiantes talentosos, celebra sus logros y les brinda todas las oportunidades de esforzarse para superar los estándares, mediante la instrucción de alta calidad integrada en la tecnología, la que a su vez es planeada e impartida de modo colaborativo en una comunidad educativa profesional. Preparamos a nuestros estudiantes para competir y triunfar en nuestra sociedad globalmente conectada. En P.S. 97, The Forest Park School, preparamos a nuestros estudiantes para la universidad y vida profesional, al tiempo que abrazamos sus puntos fuertes y les proveemos una educación de calidad que los reta a alcanzar su máximo potencial, tanto académico y personal, a través de la educación diferenciada para todos los educandos. ~~~~~~~~~~~~~~~~~~~~~~~~~~~~~~~~~~~~~~~~~~~~~~~~~~~~~~~~~~~~~~~~~~~~~~~~~~~~~~~~~~~~~~~~~~~~~~~~~Our PTA is hosting Spring Pictures tomorrow, Wednesday, Thursday, April 17, 2019! Be sure to smile for the camera! Thank you for your support. THE ONLINE SURVEY DEADLINE HAS BEEN EXTENDED TO THURSDAY, APRIL 25, 2019! Visit the above link to learn of the importance of completing your survey. We have just learned that the online survey deadline has been extended until Thursday, April 25, 2019. If you have misplaced your envelope or possibly discarded it, you can call the Survey Hotline at 1-877-819-2363 to receive an access code which will allow you to complete your survey. Visit the link above to find the results of last year's survey. Take a few minutes to see just how important your voice is. Thank you to all who have completed the survey. We hope your children are enjoying their free book! We hope our raffle winners are enjoying their basket of books! Acabamos de enterarnos de que la fecha límite para la encuesta en línea se extendió hasta el jueves 25 de abril de 2019. Si ha perdido su sobre o posiblemente lo ha descartado, puede llamar a la línea directa de encuestas al 1-877-819-2363 para recibir un código de acceso. Lo que te permitirá completar tu encuesta. Visite el enlace de arriba para encontrar los resultados de la encuesta del año pasado. Tómese unos minutos para ver cuán importante es su voz. Gracias a todos los que han completado la encuesta. ¡Esperamos que sus hijos estén disfrutando de su libro gratis! ¡Esperamos que nuestros ganadores de la rifa estén disfrutando de su canasta de libros! It is time to registration for Pre-K. Please be sure to visit the below links for all the information you will need. We had a very successful Stop 'N' Swap and are thrilled to be able to be such a resource for community members. Many items were swapped keeping the landfills less full. 3,600 pounds of stuff was donated and 2,800 pounds were shared in our community! We are thrilled to be a support to saving our earth! Thank to all who participated. Hispanic Federation Celebrates Literacy and you are invited. Thank you to the Hispanic Federation for an amazing morning. Breakfast was served, literacy strategies were shared, and free books were given to all in attendance. We say thank you to them for an amazing presentation. We sya thank you to all our parents who supported this great event. The Grade 5 Teddy Bear event was a huge success thanks to all who participated. Such fun was had by all! Congratulations to our winners and Thank you to Assemblyman Mike miller and his office staff! Each class will enjoy a pizza party! Each student received a Dunkin' Donuts gift card and were truly very excited! Visit the Grade Happenings Links on the left to see what is going on in each grade! Grade 2 English as Another Language (ENL) students have been very busy with Mrs. Abramowitz! Mrs. Picone and Class 1-205 enjoyed Not a Box and shared their creativity with our parents. Some of our Grade 3 classes participated in a Snowman Craft which was donated to us by Sado Crafts! We shout out thank you! They had such fun! The Boy Scout Afterschool Program. This year, Boy Scouts of America welcomed girls to their program and our numbers have more than doubled. Beginning on Monday, October 15, 2018 and continuing through May, our students will have the opportunity to participate in a wonderful program. To offer a more effective program for our students, the time has been extended to 2:30 p.m. - 4:30 p.m. Please contact Melvin Antigua at 212 - 651 - 2872 or Juan Hernandez at 212 - 651 - 2844 with any questions. Test your Math skills with Sudoku wityh Mrs. Kuszai, 8:15 a.m. Immediately following, our Poetry Cafe with Ms. Vasiu, Ms. Tripotseris and Class K-316. Immigrants - Know Your Rights, 9:30 a.m.
Our Scholastic Fall Book Fair has come to an end. Thank you for your support. Our Financial Report has been filed and we are happy to share that we have a profit of $1,216.17 thanks to your support. Our Meadow Farms Fall Sale Our Financial Report has been filed. We say thank you to all who supported us in raising a total of $696.65. Breast Cancer Awareness Thank you for wearing pink! We are making a donation of $173 to Making Strides in memory of our dear friend and colleague Bonnie Bua. Holiday Stuff a Shoe Box! Our generationOn Kids Care Club, with the support of Mrs. Kurtz, Ms.Stuart, and Ms. Vasiu, have together, with the donations from you, have stuffed and delivered 55 shoe boxes! Because of your donations, children will be smiling this year. GI GO Fund for our Veterans! Thank you to all who donated! A check in the amount of $137.00 is being mailed on behalf of our school community! Movie Night was a Smash Hit! Thanks to our great Kindergarten Staff and our families for their support. Annual Fall Carnival - Our Carnival was a huge success thanks to our staff and you! A financial report has been filed. We say thank you to all who supported us in raising a total of $690.70. Thank you to all for your support. The financial report is being filed and will be shared once completed. Pajama Drive - Success! 30 pair of pajamas were picked up by Riverfund and will be shared with those in need. Your love and generosity is being shared with many! Thank you! Our Toothbrush Drive was a success! We have collected over 150 toothbrushes which will be on their way to Haiti! Thank you for your kindness. Leukemia and Lymphoma Pennies for Patients Drive has come to a close. The pennies and donations have been counted and we are thrilled to share that we have surpassed our goal of $2,000. We have collected and donated $2,445.26. Top classes will soon be announced. A financial report will be filed according to requirements. THANK YOU! The donations have been collected and we shout out a big thank you to all who made donations. We collected in support of the American Heart Association's Go Red program and are happy to share that on behalf of our school community we made a donation of $120. Thank you for all your support. We wore blue for Juvenile Diabetes and collected $64 in support of this great charity. A financial report is being filed accordingly to requirements. Thank you for all your support. CITIZENSHIP CLASSES ARE CANCELLED DUE TO LACK OF INTEREST. they will be rescheduled if there is an interest. We say thank you to the New York Historical Society for their great efforts on this program. Attendance and Being on time is important! 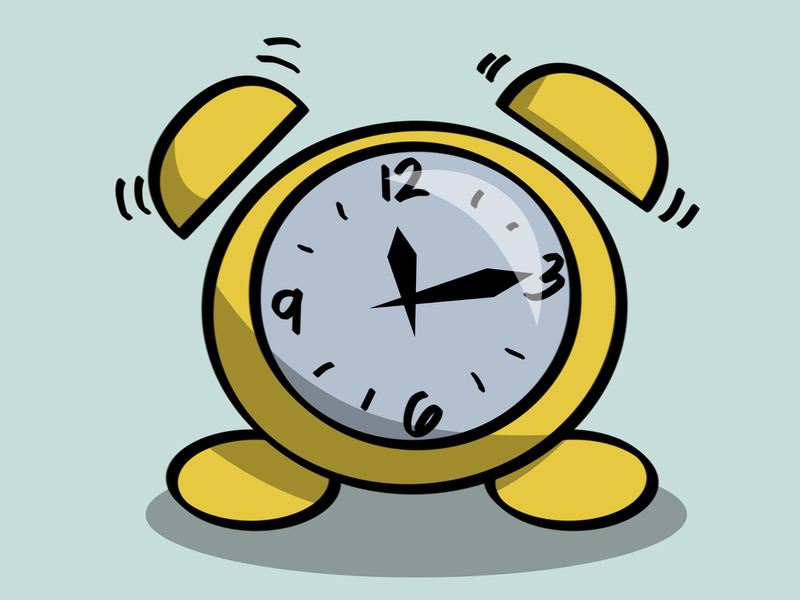 School Hours are 8:00 a.m. to 2:20 p.m. Kindergarten dismisses just prior to 2:20 p.m. Follow the message shared by your teacher. here and on time to make the most of their day! Please be reminded that attendance records are LEGAL DOCUMENTS. Attendance and being on time is a criteria which is reviewed when your child applies for a specialty middle school. We encourage all our students to be present and on time! A student's attendance records are legal documents and cannot be changed. Please make attendance and being on time a priority. ANNUAL TOWN HALL MEETING Wednesday, April 10, 2019, 8:15 a.m. Together we remain strong. The below poster is displayed in all classrooms and explains all drills and the necessary steps taken in case of an emergency. The school calendar for 2018-2019 is now available! Visit the below links to view the school calendar! out for information on our weight loss classes! We are keeping us all healthy! 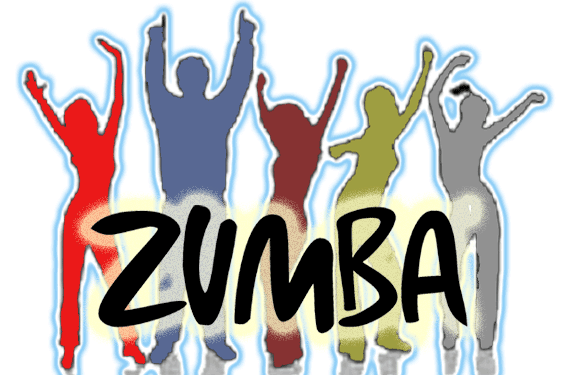 ZUMBA is postponed until April. We will keep you posted! completed them online over the summer or to those who are required to complete one. We ask for your cooperation and support in completing them and returning them. Visit the below link to apply online! many of our staff members. We are proud to share that we will continue to host InMotion for our Afterschool Program this school year. Please visit the above link for all information needed to register. Please direct all questions to InMotion. Visit our Useful Links to the left under Important Information for the direct links. If you are not, please email us at ajoseph42@schools.nyc.gov and we will be sure to add you to our email distribution list! Include your name, your child's name and class, and your phone number in the email and in the subject line include PLEASE ADD ME TO YOUR EMAIL LIST! We look forward to sharing our good news! We encourage all our families to create an NYC Schools Account to view your child’s attendance, report card grades, NYC FITNESSGRAM results, and assessment scores. We encourage you to register to access your child’s scores and other information, including the release of results for the 2018 Common Core exams in ELA and Math this summer. Letters have been sent home to those families who have yet to create an account. Please follow the step by step directions. If you should have any questions, please feel free to email Mrs. Joseph, Parent Coordinator. details. Help comes in many languages! We continue to collect box tops to help our school earn money! Ask your family and friends to help you and your class earn an ice cream party! Box tops will be collected on or about the first of every month. The class who collects the most box tops for the month will enjoy ice cream! We encourage you to help your child's class earn money for their school! Continue to clip over the summer! Thank you to Mrs. Ramnath for her support! If you need assistance with a particular page or document on our current site, please contact Amelia Joseph, Web Master, ajoseph42@schools.nyc.gov to request assistance.